Mandela Day takes place, every year, on Nelson Mandela’s birthday, 18 July. 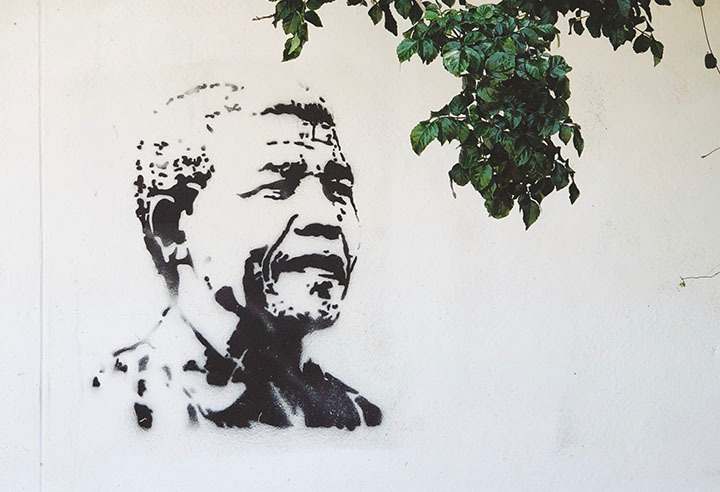 This year, Mandela Day is taking place on Wednesday, 18 July 2018. FoodForward SA and Pick n Pay are partnering to unite a nation around Mandela Day, with the goal of raising 1 000 000 meals in July 2018. The national food drive will help stock FoodForward SA’s warehouses across the country with staple foods during winter, ensuring that the 600 beneficiary organisations they serve can continue to provide warm meals to the 250 000 people they feed every day. Read more about FoodForwardSA here. Buyfresh is the most convenient way to order quality, affordable and ethically sourced meat and poultry products directly to your door. Buyfresh has pledged to donate 67kgs of meat to FoodForwardSA, #PlusOneMore kilogram for every order placed online in July. Join the Acts of Love Volunteer Mandela Day Outreach on 14 July. It is a renovation project aimed at community development where volunteers will paint, clean and repair a place of safety for kids situated in Midrand. Roll up your sleeves and get your hands dirty for a good cause by doing more than 67 minutes to uplift and serve your community. Sign up to this Mandela Day outreach here. Share in the spirit of Nelson Mandela Day with the CLAW team. Projects available to be involved in include a community garden, outreach programme and general refresh of kennel and run areas. CLAW is a welfare organization, renowned as the pioneer of community based primary veterinary care in South Africa. Services include: sterilization, vaccination, parasite & pest prevention, emergency care and pet owner education. CLAW is situated in Johannesburg, Gauteng. Find out more here. Bikers4Mandela start their charity ride in honour of Nelson Mandela. They will travel throughout South Africa. Find more info on the event here or register here for any of the Mandela Day rides. For R100, visit Woodrock Animal Rescue and leave your footprint. Make a commitment to our animals who are locked away without a choice, without a voice. With a view and understanding of immense respect for a leader that was incarcerated for 27 years, Woodrock are hosting an event with a mindfulness and observation. When you arrive you will get a chain and lock attached to your arm. You will then hunt for the key to unlock and free yourself. Woodrock will give you a “Treasure Hunt” script to follow around Woodrock premises. When your key is found, you can unlock the lock and chain. The lock will then be locked onto on the fence at the entrance to our shelter known as the “Bridge of commitment to animals”. Get your tickets here. Spend your 67 minutes at DARG this Mandela Day! There’ll be loads of fun activities for young and old. From cleaning, sorting, making enrichment toys, facility maintenance and planting herbs, to dog-walking orientations and kiddies activities – there is something for everyone. Find more info here. This year, we celebrate 100 years of Nelson Mandela! This year, 67 Blankets for Mandela Day aims to knit the world’s longest scarf – a whole 27km long! Every scarf will have a message of love and warmth attached to it, as well as the trademark heart logo – and people walking home from school and work will witness pockets of glorious colour and warmth around lamp posts, railings and trees. And thousands of people who need a little more colour and warmth in their lives will be able to help themselves to our labours of love. Read more about this Nelson Mandela Day project here. The Nelson Mandela South Africa SleepOut™ and The Nelson Mandela School SleepOut™ Events (both empowered by Liliesleaf) also take place on Wednesday 18 July 2018 across the country. This year The CEO SleepOut™ Trust’s Primary Beneficiaries Liliesleaf Farm and Museum and The Qunu Food Security Project were chosen for their commitment to Education, Community Upliftment and Nutrition; three of the five pillars that alleviate homelessness alongside Shelter and Healthcare. Build a kennel; donate a kennel, collect a kennel and help Change for the Better Foundation distribute 67 kennels to underprivileged families (most dogs in townships have NO shelter). Read more about the Madiba Day event here. Spend your 67 minutes at TEARS Animal Rescue this Mandela Day! Can’t make Wednesday, 18 July? Then join the team for the TEARS Mandela Weekend and they’ll put you to good use on 21 and 22 July! If you love DIY, have green fingers or plan to get down and dirty this Mandela Day – you’re going to love spending your 67+ minutes at TEARS Animal Rescue! It’s all about improving and enriching our shelter for the rescued pooches and kitties in our care and, as a reward for all your hard work, you’ll get to cuddle and spend time with some of the cutest rescues in Cape Town! If you have a group or team larger than 5 individuals, please email [email protected] to book a group slot. More info here. Join Jenny Morris and her team to bake muffins for The Haven Night Shelter. Can’t bake? You can simply buy a muffin for R20. This will provide two people with a warm, safe shelter and meal for a night at The Haven Night Shelter. Read more about this event here. Join OBS Pasta Kitchen this Mandela Day, Wednesday the 18th of July for a special evening of yummy pasta and special treats for our guests. Donate online to make this event extra special and contribute to bettering the lives of those who need it most. Read more about this Mandela Day drive here. Take your knife, chopping board, potato peeler and a bag of veggies and join the Mandela Day Soup Kitchen at Cape Quarter Courtyard. Last year, they made 1000 litres of soup to feed the hungry. Read more about the event here. Come and join Rays of Home and have a blast on the Bryanston Country Club golf course with golfing friends and clients, whilst creating lasting change in Alex. Read more about this event here. To celebrate Mandela Day, everyone is invited to get together at the historic Constitution Hill (South Africa) in Braamfontein and work through 27 yoga poses to honour the great courage and beauty of the late Nelson Mandela. This event supports the neighbouring organisation Lefika La Phodiso – Community Art Counselling & Training Institute. They use art counselling to help youth affected by traumatic experiences. We are inviting 50 of their young clients to participate in the event. This year, the event will take place on Saturday, 21st of July, at the Freedom Square at Constitution Hill. Read more about Mandela Day Yoga here. Join the KZN Children’s Hospital (10 Prince Street, South Beach, Durban) this Mandela Day, 18 July 2018 from 9:00 – 16:00. Clean up your street or neighbourhood park. Grab a group of your friends and family and take some time to clean up your neighbourhood. Visit a local children’s home or orphanage. Read to the kids, donate toys, play games, paint faces, help with renovations, cook a meal, etc. Make some food, collect blankets or warm clothes and donate to homeless people in your neighbourhood. Visit a local animal shelter. Here you can help by cleaning the shelters, upgrading the shelters or donating food and toys or blankets to keep the animals warm. Visit your local senior centre. Read to the elderly, spend some time with them, and take some flowers or sweets.